Australian photographers specializing in school and family photography. We LOVE Kids and Families. We are passionate about children and families, capturing their character and personality. We love nothing more than a funny and challenging child, to get the right look, smile or funny face takes skill and practice. We have over thirty five years of experience and enjoy what we do. Malcolm & Maya work with you to get the images you want. You and your kids deserve great service and fantastic photographs at affordable prices. Our team is here to help you. 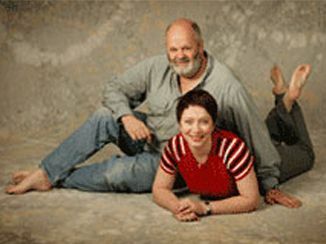 Kidshotz is owned by Malcolm & Maya Mathieson. Malcolm is a Master Photographer and Honorary Fellow with the Australian Institute of Professional Photography and a past President of both the World Council of Professional Photography and the Australian Institute of Professional Photography. He has been a full time professional photographer since 1978. Almost 15 years ago Malcolm and Maya started Kidshotz with three aims. Raise money for measles vaccines, provide an income for disabled people in the poorer parts of the world and in Australia work with the mums of small kids so they could earn an income while the kids were at School. They built the business to a peak in 2008 where over twenty people were involved. Technology, the GFC and an influx of new part time photographers, often working for below the cost of production caused the business to slowly change. In 2013 Malcolm & Maya decided to downsize and continue to work with their highly talented designer based in the Philippines. With over 100 thousand kids given a shot in the arm…….it was time to move onto other causes. Malcolm and Maya added to the range of work they do the “Boxshotz Style” designed as a fundraiser for Preschools, Schools and other groups. Then they got demands from mums who with their friends could organise a day to raise funds for other worthy causes. Kidshotz continues to change and evolve today.